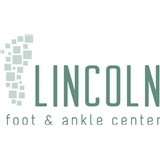 Lincoln Foot & Ankle Center (Chicago) - Book Appointment Online! She listened well, understood the issue and was open to alternative treatment. in addition, she provided professional approach by xrays and getting my history. Kaye Lagdaan is amazing truly professional with one of the best personality. I am happy she did my consultation .